I’m often asked about what locations are good for wedding photo sessions as well as engagements. Subscribers of my blog know that first and foremost, I love focusing the shoot on the connection between my clients rather than bagging shots in front of as many backgrounds as possible. I’ve always felt that if you have a crisp, clear landmark in the background the shoot becomes just as much about the scenery as it does the main subject. This shoot involved no outfit changes, a few thoughtful props, and lots of smiles. This shot could have been taken anywhere: at the edge of a suburban mall parking lot, in an urban park, at a nature preserve, or in the clients’ own backyard. 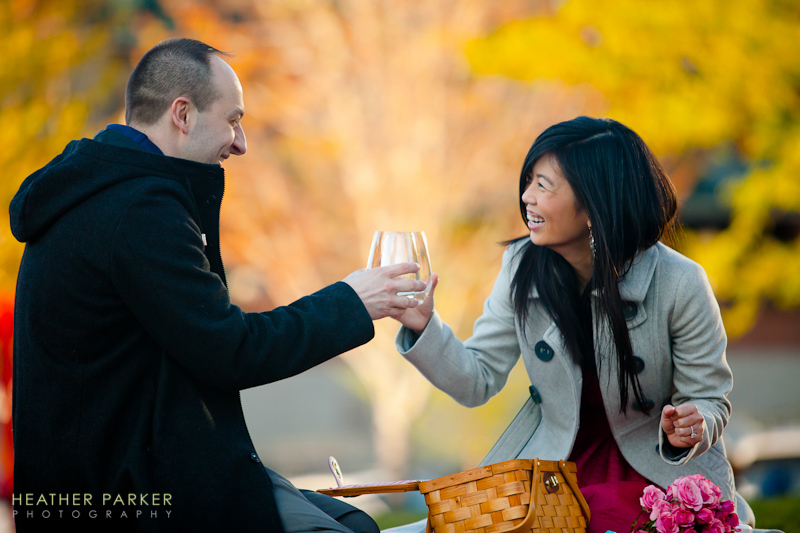 The image encompasses joy and laughter that happened naturally at a planned picnic date.